February 6, 2019           Glovis Captain          Bremerhaven          Feb 6, 2019 - this ship left cars at Zeebrugge on 2/5/19 and continued on to this port. We know now that at least one of the boat to transport Model 3 from San Francisco to Zeebrugge (Belgique) is GLOVIS CAPTAIN. I have a subscription that allows me to track down boats (I have 2 boats) with notifications and destinations with AIS device. the boat was in portland this week (PDX). Next destination has been set! Scheduled to arrive at Balboa, Panama on January 21. 15,5 knots.... (27,8 KM/H).... will be fun to see where it is tomorrow. GLOVIS CAPTAIN is now passing Los Angeles. found 2 other vessels with destination US SFO. GRAND AURORA and GENIUS HIGHWAY. those ship names are tempting. On the Norwegian TM3 forum there's a guy who did some detective work on facebook and actually got in contact with one of the crew on the Glovis Captain, who reportedly said they had loaded 2000 Teslas. Not certain yet if they were all Model 3s. So we'll have to hope for another ship as soon as possible. I was wondering how long it would take "one of us" to do that. I hope all of our European brothers and sisters don't mind but I am watching this thread with excitement for you all to start getting your cars! It reminds me of early 2018 for the U.S. and all the excitement that took place here. I can't wait for you all to experience it, super happy for you all!!!! GO FASTER GLOVIS CAPTAIN!!!! Unless they think you've made an april fool's joke and disregard the reservation. My car would not be on the Glovis Captain but "things would move fast from now on"
End of February is only six weeks out. Makes me wonder if there is any chance Tesla has Model 3s on a ship ahead of the Glovis Captain.. I have a blue M3P on order. Reservation from May 18, and order from 6 Dec 18. Have not heard from Tesla yet. E-mail said expect February delivery if you order before 31 Dec. And I was assured that adding FSD would not bump my delivery time. The first ship should arrive Feb 3th. Yeah yeah, rub it in.. It's funny how a normally unknown cargo ship has become a household name with every Tesla reservationist in Europe! I love it. 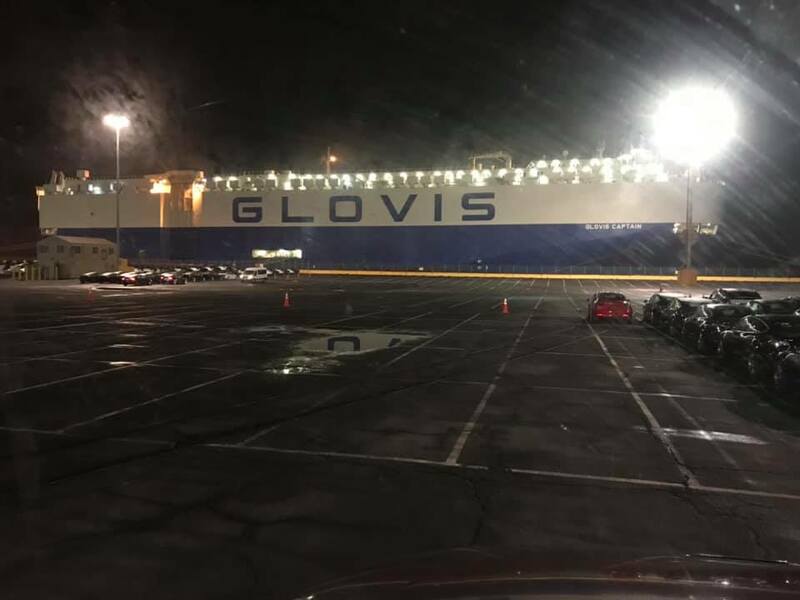 The next ship to stock up on Model 3s is probably the Glovis Cosmos. Bound for SFO and docking in two days.... then... Grand Aurora. Click the boat names.... i might have a bit too much free time..